Nestled in the heart of Northcote, Melbourne, our shop is a curated hub of handmade and vintage. A unique collection of ethical treasures for play, your home and to gift. Founders and sisters Kim and Donna are collectors and makers of beautiful things, with their own range created for an unhurried childhood and the wonder of play. 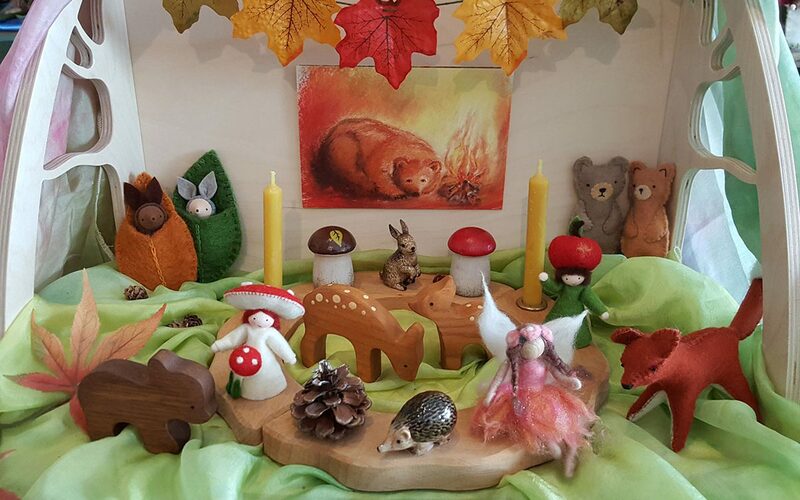 The small Birch and Bear team of makers collaborate together to develop original designs from a range of skills, including felting, crochet, knitting, sewing, embroidery, woodwork and pattern making. We use natural materials and love to recycle……….to re-purpose and upcycle objects and materials, creating something new and unique. Our dolls are influenced by traditional Waldorf Steiner doll making techniques and are designed to be loved for their softness and gentle features. Our wooden toys are made from recycled and ethically sourced timbers and handcrafted by small independent makers and artisans with care and attention to detail. Our range draws inspiration from many educational/learning philosophies including Rudolf Steiner, Maria Montessori, Reggio Emilia, Forest School and Play Based learning. We make and source beautiful useful objects that encourage and support a simple natural childhood, full of wonder and a curiosity to explore, discover, imagine, create and learn. By purchasing handmade, you are supporting independent makers and their love to create. We make every effort to have stock on hand but this is not always possible so we offer a pre-order system with a window of 1-4 weeks when stock is not available. If you require an item quickly, please contact us first to check on availability. Please note that product images are examples. We use pure wool felt, mostly hand dyed, and upcycled fabrics, so no two items will be the same. Unless stated otherwise, we do not recommend our toys for children under 3 years old. Please use your discretion when choosing toys for your children and see the ‘Baby and Toddler’ section for appropriate options. Our online store does not carry our full range so if you see items of interest via other platforms………..just ask!